Offer a new trending service, capture new patients, retain existing patients, and increase the quality of your chiropractic services with cryotherapy. The last Global Burden of Disease Study linked low back pain as the main cause of over 77% of all disability conditions, making LBP the number one cause of disability in the whole world! People are often referred to chiropractors to treat their back problems. There is strong evidence supporting that doctors of chiropractic are well sited to diagnose, treat, co-manage and manage the treatment of patients with LBP disorders . In 2012, 29 million adults in the U.S. paid $14.1 billion for office visits to complementary health practitioners including practitioners of acupuncture, homeopathy, naturopathy, chiropractic, and massage therapy . Offering chiropractic services alone will limit your exposure to this market, so learn about becoming a multidisciplinary clinic by integrating complementary and alternative medicine therapies with your practice to capture new patients and effectively increase your market size. A multidisciplinary clinic is defined as having a practicing DC and any other complementary medicine practitioner on staff (e.g. 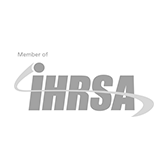 acupuncturist, PT, LMT). In a survey of 5,000 practices conducted by the Chiropractic Economics in 2018, multidisciplinary clinics reported a 54% higher new patients/week rate compared to DC only practices . The key to growing any chiropractic practice is not just the acquisition of new patients but the retention of established patients as well. A key metric that measures the performance of your practice is the patient visit average (PVA). Not all chiropractic practices perform the same. A patient satisfaction survey of 150 random patients concluded that the rate of return of patients to the same chiropractic office was 44% . In 2018 practices welcomed an average of 9 new patients per week and saw a total of 139 patients per week with a PVA of 16.6 . Maintain a healthy level of communication with your patients. Send welcome letters, thank you and birthday cards, and follow up with them on a regular basis. Pay attention to and cater to your patient’s needs. Cultivate your patient’s trust in you by educating him or her on the benefits of complimentary and alternative medicine therapies. Increasing your patient’s trust in you will create competitive advantages for your practice. Tip: when you introduce new services, your existing patients will visit you more often and your PVA will increase. Cryotherapy (cold therapy) combined with chiropractic adjustments has proved to significantly reduce low back pain. A study of 36 subjects that applied cold therapy in addition to chiropractic adjustments, concluded that cold therapy combined with chiropractic therapy showed significant reduction in LBP . Your patients might already know this and expect you to know it as well. Don’t miss out on the opportunity to give them the best treatment possible! When your existing patients subscribe to your new services, they increase the average visit value (AVV) of your practice. Successful chiropractic practices engage in effective marketing. Create email, SMS, and website marketing campaigns and advertise your new services. Adding new services will increase the traffic you receive from search engines through search engine optimization (SEO), since you will be able to include new keywords on your web pages. Create new marketing packages and attract new patients. Your followers on social media are tired of seeing the same redundant posts. Freshen up your image, create posts about your new cryotherapy packages, educate your patients about the benefits of cryotherapy, and invite them to try it out for themselves. Social media is a great way for chiropractors to keep in touch with their patients, especially if they have an updated list of services that they offer. By offering cryotherapy, you can engage with new prospects on social media and the rest of the internet. You can join cryotherapy, fitness, and athletics groups online and find people interested in cryotherapy to then invite them to your practice. You can also use popular Q&A (questions and answers) websites such as YahooAnswers, Quora and Fluther to educate people and build your practice’s brand. The more you increase your PVA and AVV, the higher your total patient revenue (TPR) will be and the more money you will make! Retain your existing patients and capture new ones by offer a new trending service while increasing the quality of your chiropractic services with cryotherapy. 2 - Nahin RL, Barnes PM, Stussman BJ. Expenditures on complementary health approaches: United States, 2012. (433KB PDF) National Health Statistics Reports. Hyattsville, MD: National Center for Health Statistics. 2016. While multidisciplinary clinics that offer complementary medical practices see higher billings compared to DC-only practices, the actual salaries and compensation of the DC tend to be lower. This makes sense since increased number of employees means a lower DC salary. Offer an exciting new complimentary modality for your practice without having to hire any additional staff! Our machine is designed to be the safest, most technologically advanced, and most profitable cryotherapy chamber on the market. Offer cryotherapy to your patients and retain them. Capitalize on the hot cryotherapy industry, create fresh marketing campaigns and capture new patients with ease. 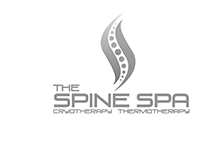 Compliment your chiropractic services with cryotherapy and enhance the quality of your services. Stay ahead of the competition! Cryotherapy is most famous for its muscle recovery benefits. Professional athletes and fitness advocates often promote cryotherapy for recovery treatment. Some of the benefits of cryotherapy include lowered heart rates, optimized oxygen consumption and decreased inflammation, resulting in faster return to physical activity, reducing recovery time. People with skin problems like dermatitis, eczema and psoriasis have reported seeing positive results for their skin troubles by doing cryotherapy. Studies have linked cryotherapy to reduced skin abnormalities. Through reducing water loss, and improving skin hydration, cryotherapy can produce a healthier looking and feeling skin. Inflammation happens when the immune system fights infection. This isn't a big issue but chronic inflammation has been linked to major health problems like dementia, diabetes, arthritis and cancer. Studies have linked cryotherapy to the reduction of overly reactive inflammation. Exposure to extreme cold temperatures constricts our blood vessels and reduces the blood flow to the inflamed areas. Cryotherapy increases the presence of anti-inflammatory proteins and reduces the cytokines levels (inflammatory proteins). By decreasing inflammation, cryotherapy helps reduce chronic pain. Studies have shown that repeated cryotherapy treatments lowers chronic pain resulting in faster recovery, improved mobility, and less fatigue. Repeated cryotherapy treatments can help alleviate psychological strain. People suffering from depression and anxiety, after undergoing cryotherapy, were found to have lower symptoms of anxiety and depressions with an increased positive mood. Many advocates of cryotherapy believe it supports weight loss. The extreme cold temperatures put the body in a fight-or-flight mode, forcing the body to work harder to keep warm, which in return burns calories. Cryotherapy also boosts metabolism, which helps the body burn even more calories throughout the day. Add cryotherapy to your practice and increase your revenue!